Penny Wilson is chief marketing officer at Hootsuite, the most widely used social media management platform. She leads the company's global marketing, growth and customer support organisations, driving market leadership, brand awareness, demand generation, and the creation of memorable customer experiences. 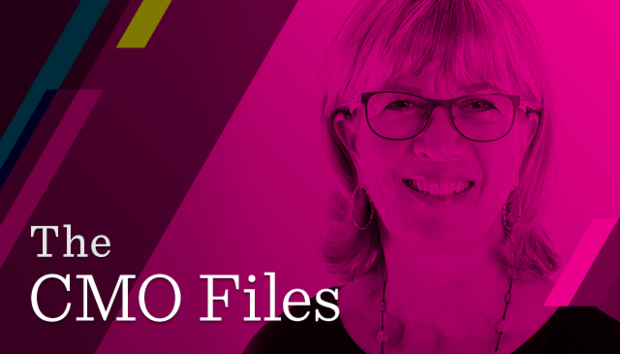 Wilson has more than 30 years of experience in senior marketing and executive leadership roles at Juniper Networks, Macromedia, Alias|Wavefront and Merrill Lynch. What was your first job? Summer camp counsellor for kids. Without a doubt, one of the hardest jobs of my life! What was the first product you got really excited about? Blue jeans as a kid! But if you mean tech, I have to say opening the box of my first iPhone was pretty exciting. Who has been the biggest influence on your career? My Dad. He was a serial entrepreneur, and over the course of his life built and sold many successful businesses. He taught me my most important lesson, "Don't be afraid to fail." What has been your greatest achievement? My two boys, Jaxon & Keegan. They are both in their 20's now, and it has been such a privilege to watch them grow into the interesting young men they are. What has been your biggest mistake? Trusting people who don't share my values. Always let your values be your guide. When you don't listen to your core values, that's when you can go off track, personally or professionally. What is your greatest strength? Being a good listener. As a CMO you have to listen to both your customers, and your employees. It's so important. If you're not listening, you're not learning, and you can't grow as a human being, or as a company. All good relationships start with listening. What is your biggest weakness? Salted caramel ice cream! And maybe saying "no." I over-commit my work schedule on occasion. Or at least that's what my husband tells me! What do you think is the aspect of your role most neglected by peers? The technology required in today's marketing world. You have to stay on top of the ever-changing array of tools at your disposal, learn about them and integrate them or risk falling behind. Which word or phrase is your mantra and which word or phrase makes you squirm? My mantra is a good old-fashioned hippie "Om" or on a more practical level "I can do this." The one that makes me squirm is "you should." I don't enjoy it when sentences start that way. What makes you stressed? Surprises are the worst! Please don't throw me a surprise party. What do you do to relax? I am lucky to live in one of the most beautiful places on the planet, so I take advantage of that and spend as much time outside as possible. My favorite activities are to hike in the forest with my dogs and friends, and spend time at my cabin on an island off the coast of British Columbia. What is your favorite song? Europa, by Santana. Listen to that guitar, preferably with the volume turned up. Which book taught you most? I'm an avid reader and read many, many books every year so there are too many to choose. Do you have a team or sport that you follow? My son's hockey team, the USC Trojans and the Vancouver Canucks. Hockey is in our blood here in Canada. Which country would you like to work in? I am very happy with Canada but if I had to choose a different one I might like to try England (London) or Singapore. I travel often for work, and it's always a pleasure to visit lots of interesting countries. What do you love most about your job? Our customers and our employees. What is your favorite book? As an avid reader, I can't pick just one, but here' are a few of my favorites: I am passionate about neuroscience, so anything by Daniel Pink, he writes about the interaction of art and science, his latest is "When: The Scientific Secrets of Perfect Timing." I have thoroughly enjoyed Sheryl Sandberg's books "Lean In" and "Option B: Facing Adversity, Building Resistance and Finding Joy," she is an inspiring leader in our tech community. I also love to cook and need improvement in that area so enjoy a good cookbook. Yotam Ottolenghi's "Plenty" is a classic! What keeps you awake at night? My new puppy Chumley, he is a Goldendoodle, adorable, but a rascal!